Now Chief Minister Yogi Adityanath announced on the 126th birth anniversary of Bhimrao Ambedkar on Friday that Schools in Uttar Pradesh will no longer get holidays on the birth or death anniversaries of great personalities. 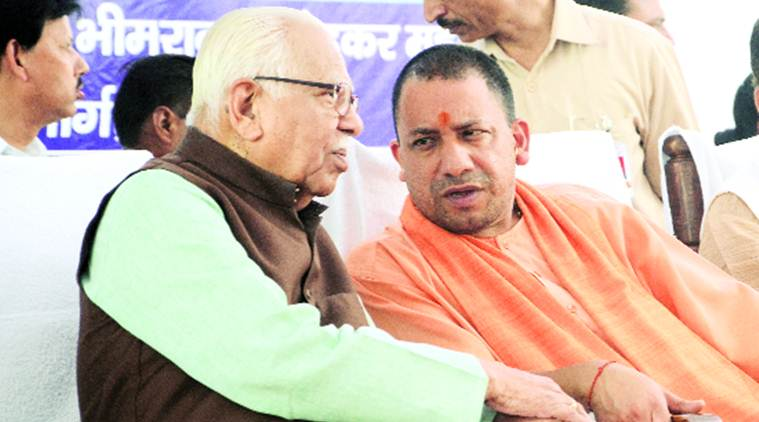 The tradition of closing schools on these occasions should come to an end and institutions will remain open on such days to hold two-hour special events on the life of these personalities, and their contribution to the country and society, Adityanath said. The UP government had recently ordered primary schools across the state to organise programmes on the life and ideology of Ambedkar on April 13 or 15. Addressing an event at the Bhimrao Ambedkar Mahasabha in the state capital, the Chief Minister said the move may draw objections from a few people. “Students remain unaware about the occasion and about the great personalities…. They think the holiday is due to a Sunday,” he said. Adityanath said the people should know what problems Ambedkar faced in his life and under what circumstances he attained higher education. “Is liye chhuttiyan band karo.. school chalao (stop holidays and open the schools) ,” Adityanath said. According to him, such programmes will raise awareness among the new generation and inspire them to contribute to the nation and society. He said, “The 220-day academic session has been reduced to only 120 days due to such holidays. If the tradition continues, there will be no day left for teaching.” He also said those who who politicise caste and religion should take inspiration from Ambedkar. The government will protect the 22 crore people of the state without any discrimination and provide land to the homeless, poor and Dalits for houses and toilets, he said. The CM also announced special scholarships for students, ranging from primary education to higher education, and for technical and medical education. Speaking at the event, Ambedkar Mahasabha president Lalji Prasad Nirmal said the government should declare the Hazratganj campus as another ‘teertha’ of Ambedkar. Nirmal claimed that former CM Akhilesh Yadav had assured of providing 5 acres in CG City to set up a library of works on Ambedkar, but the land has not been handed over yet. Governor Ram Naik asked the chief minister to keep working as per the Constitution. “Well begun is half done,” he added. Naik said he denied approval when Akhilesh had sent him a list of names for nomination to the Legislative Council as some of them had been jailed in the past, and some had not paid taxes. The Governor said he cited this example not as a comment but to emphasise the significance of the Constitution. The SP government had declared holidays on birth anniversaries of former Prime Minister Chandrashekhar (April 17), Maharishi Kashyap and Maharshi Nishadraj Jayanti (April 5), Hazrat Ajmeri Garib Nawaj Urs (April 26), Maharana Pratap Jayanti (May 9), besides on the death anniversary of Ambedkar (December 6).